Home » Welcome to Prenatal Plus – Yoga! Welcome to Prenatal Plus – Yoga! Est. 2001 – Serving Moms, Babies & Families for 17+ years! “It is the first and last thing we will ever do on this, Planet Earth. OUR NEW WEB SITE IS CURRENTLY UNDER CONSTRUCTION. 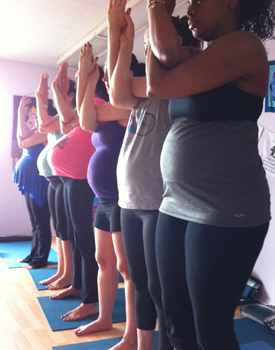 PRENATAL & POSTNATAL YOGA, Coral Gables studio has been celebrating, connecting women, families, and community for 17+ years! As a master specialty teacher/trainer of Prenatal & Postnatal Yoga, Debra focuses on bringing to her classes breath awareness & relaxation, holistic childbirth education classes, hypnobirthing courses, parenting classes, breast feeding support & more. As a certified labor doula, Debra has been assisting mothers at home births, hospitals, & now proud to be working with Holistic South Pregnancy & Birth Center (our sister center) to help more mothers and families have better birth experiences! NATURAL BIRTH OPTIONS, Expanding & working together with a wonderful team of midwives and birth sisters at Holistic South Pregnancy & Birth Center ! We offer waterbirth options and a peaceful home like environment without pressure, intervention or stress. Allowing birth to unfold as mother nature intended, your way, your choices. Providing a “Healthy Safe Place to Birth your Child.“ Please call for a meet & greet to see this new, beautiful birth center and to speak more with Debra at 305-238-7873. Most Insurance accepted. Come join our families at Holistic South Pregnancy & Birth Center to experience a calmer, more holistic birth with professional care, love & support. *FIRST AND ONLY Birth Center in South Florida located directly across from a hospital for safety and medical care , if necessary; (a great option for nervous family members/partners). Your pregnancy and birth will be guided by midwives and professional birthworkers with loving, holistic care. Women’s Wellness provided all through the ages! www.hspbirthcenter.com. CERTIFICATION TRAINING IN PRENATAL YOGA. Every Woman and Family deserves a Happy, Healthy, Joyful Birth Experience! Even when cesarean is necessary through relaxing, educating, empowering and blessings, birth can and is a Celebration of Life! how to create positive change and a healthy, happy life.